OPEC CBRNe Ltd, a UK based operation based out of Larbert in Scotland, was established by OPEC Systems in 2017 to refine and improve the former Remploy technology, applying the latest leading edge materials and a range of advanced construction techniques to provide exciting new innovations in suit design. That is important because when making life-saving products experience matters. We have improved the designs of key products to ensure they stay relevant to current threats, but push the boundary of reducing Thermal Burden. Because, as an end user or potential distributor, we want you to have the right balance of protection and comfort. If you’re seeking the best lightweight systems, you’re in the right place. 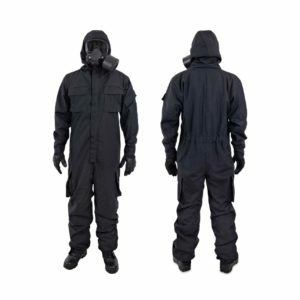 As leading designers & manufacturers of the most advanced lightweight Level C CBRN Protective Clothing, our commitment to innovation means that users remain reassuringly protected, while working longer in a more comfortable environment and maintain optimum performance for 6-24 hours, compared to 1-2 hours offered by other systems. Organisations across the world, such as the UK MoD, UK Police and Australian DoD, have chosen our suits because of the reassurance of our 50+ years’ pedigree in CBRN, depth of experience to create the most innovative products and the way OPEC CBRNe embrace corporate social responsibility as part of our operations. If choosing the most effective Level C suit to affordably and effectively protect your people is a pressing concern for you right now, let's talk. OPEC CBRNe has been established under parent company OPEC Systems. OPEC’s people are the single most important factor in driving the company forward and, as such, we ensure the highest level of health, safety and welfare for our staff. OPEC’s commitment to the environment and quality is reflected in its comprehensive procedures and quality management systems which have seen the Company achieve AS/NZS 4801:2001 (Occupation Health and Safety Management Systems), ISO9001:2008 (Quality Management Systems) and AS/NZS ISO 14001 (Environmental Management Systems) accreditations. Parent company OPEC Systems has established OPEC CBRNe which designs & manufactures the most advanced Lightweight Level C CBRN Protective Suits and Accessories. “We are delighted to be expanding our brand on a more global basis, and an office in Scotland gives us much better access to the UK and European markets, and simply makes good sense from a business perspective,” said OPEC Systems Managing Director, Pete Murphy. “OPEC CBRNe is focused on the fusion of technology with innovation, bringing clever design and superior safety systems to today’s front line soldier and first responder,” Peter Murphy. “We’ve taken tremendous strides with the two-piece Kestrel. 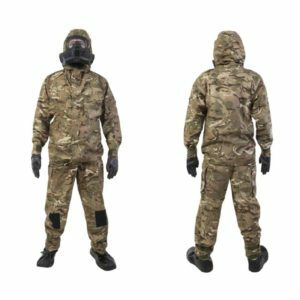 It’s constructed using a particular fabric combination that delivers a 30 per cent lighter suit than current systems, without any compromise to CBRN protection. It eclipses its design brief for coolness, comfort, ease of movement and breathability, and is ideally suited to high heat burden environments,” Peter Murphy. “OPEC CBRNe is immensely proud to be working with Haven to continue to deliver CBRN products for the next generation of front line personnel, to help defend against exposure in military and civil environments,” said OPEC CBRNe General Manager, Chris Jackson.